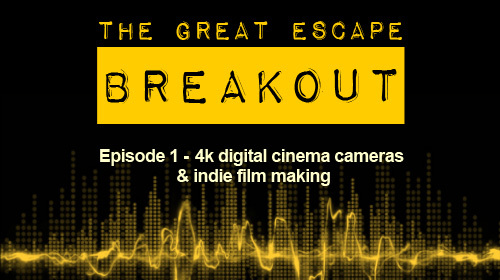 In the pilot episode of our new podcast, the Great Escape team get together to chat about the influence of high quality digital cinema cameras on the indie film making scene. It doesn’t all go to plan and we frequently find ourselves derailed by the more rant-worthy topic of 3D. We’ve pulled together a few links where you can read more about 4K, digital filmmaking, and the examples we discuss in the podcast. We hope you enjoy this debut episode of Breakout. If you’d like to receive alerts for future episodes, like and/or subscribe! Next time, we tackle the future of web series.